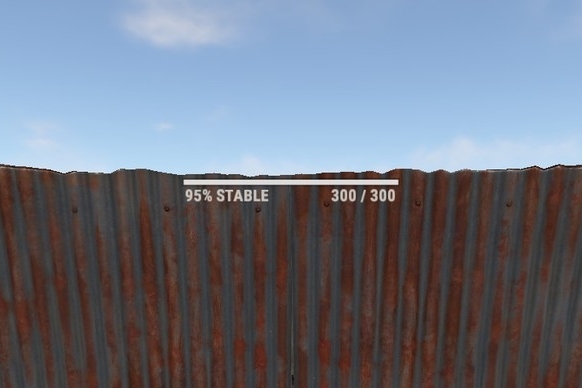 Rust: How do I build walls? The building system that once was will never be the same again! There are three major tools you will need to start out with. The building plan is where all of the resources you gather are combined and placed. In order to get a building plan simply get 100 wood, craft paper, and then the building plan. 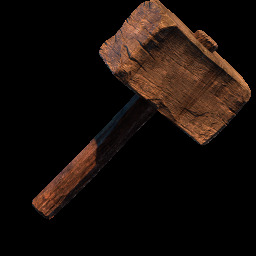 The wooden hammer is the one and only tool that can rotate, and upgrade building blocks. Only costs a hundred wood to make and makes your twig house take much more time for a "piggy" to blow down. The Tool Cupboard is the one and only house grief protection device. Within a 30 meter radius this bad boy blocks building, upgrading, and rotating of building blocks. If you plan on having any semblance of a home you better drop the 1000 wood it takes to make this absolutely indispensable tool! 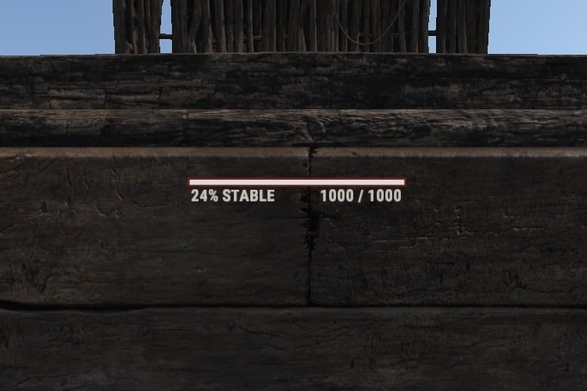 There are two statuses related to the cupboard and they display above your health bar. Okay now that you know what you need to start getting creative here are a couple things to remember when you start building. The Tool Cupboard can be used by anyone that is able to access it. So this is the most prized possession of hour house and you should protect it at all costs. I would highly recommend placing the cupboard three stories above your ground level and physically inaccessible to anyone else without building. Since it is cheap to make a block tower now more than ever you can place your Cupboard quite high and still maintain fairly easy access. One last thing before we get into it. Stability plays a big role in building although you may not experience it until your house starts to become larger. Everything needs support now and is dependent upon what was placed under it and also what was placed beside it. When looking at a building block it will give you a percentage of stability. The magic number seems to be when you approach 10 percent things start falling down. It has improved significantly but still needs some work at times. Breaking point. Currently only Twig walls break apart when demolished. Let's get down to business. Start by moving your building plan to your hotbar. Equip it by pressing the number or using your scroll wheel to select it and it will highlight in blue. A ghost image will appear in front of you of a foundation. Left clicking will place the foundation. If the ghost is red you cannot place it in the current location. In addition if you don't have the resources to build it will tell you in chat. The Building plan can be changed by right clicking while the building plan is equipped. It will bring up a radial will all of the building blocks. You don't need to make a building plan for each building block so this is quite the versatile tool. Keep holding the right mouse button until you found what you want and left click on it. That is how you build a wall! 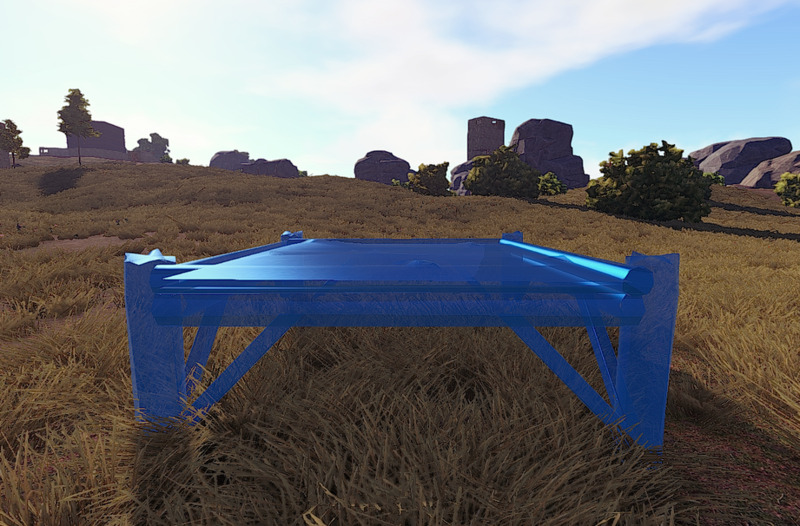 For a beginner guide on the rest of Rust check out our Getting Started in Rust guide and for some advanced building guides please visit our community guides on our forum. Now that you have your first few walls built start reinforcing it so you can actually be safe! Whip out your hammer and look at a building block you want to upgrade. It will have a familiar selection ghost. Then just like before right click and hold and you will see another radial dial. This one with significantly less options. These are the different upgrade options. If you have permission to build and you have the to materials required to upgrade the options will be darkened just like you see above. One thing to note is that you can currently skip levels going up to avoid unnecessary costs. If you would like a breakout of the upgrade costs please see the Building in Rust guide. Demolish Immediately is a recent addition that allows admins to remove building blocks even if blocked by a Tool Cupboard. Currently there is no demolish capability for regular players on the server. It was taken out to nerf the tool cupboard in a sense. That way even if you lose control of your tool cupboard you can still be relatively safe. So long as you built well enough. To comment or add to this guide, please visit our forum.